Apple's self-driving car technology could potentially change the way it drives based on the reactions of its passengers, using monitoring sensors to analyze the vehicle's occupants and determine an appropriate driving style to suit the situation, potentially reducing the chance of a passenger panicking. 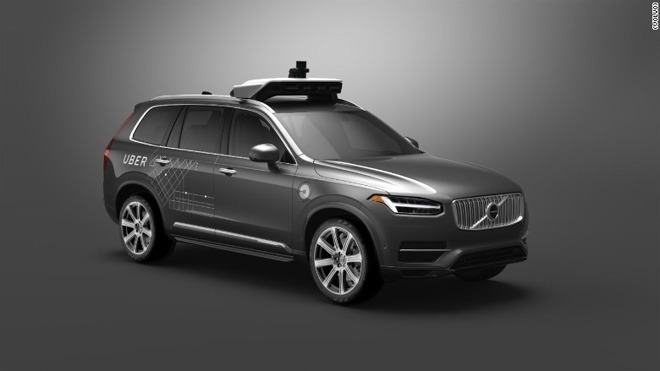 Former Apple employee Xiaolang Zhang, who worked on the company's self-driving car initiative, on Monday entered a plea of not guilty after federal prosecutors indicted the engineer on one count of trade secret theft. According to a report on Tuesday, popular YouTube personality Mark Rober has been working with Apple's special projects group since 2015 on the development of virtual reality technology for self-driving cars.